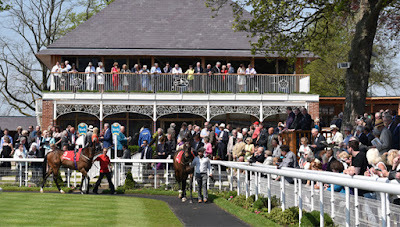 A ‘day out at the races’ is a common favourite pastime in Britain, with punters travelling to many of the fantastic courses all across the nation to place their bets on the horses at some of the best and most enjoyable festivals that the sport has to offer. The Ebor Festival at York Racecourse is one of the last major meetings in the horse-racing flat season, and naturally there will be plenty of punters seeking the best tips for the festival at the end of August: The Winners Enclosure provide free tips and predictions on all major horse racing meetings and continue to provide some of the best insight into the sport on a daily basis. There are several different types of bets that punters could place at Ebor: the popular choice amongst racegoers is picking out a single horse in each race and backing it to win. There are ways that you can narrow down your selection for these types of bets – by searching for a NAP. Most tipsters will provide a NAP for each race day, and The Winners Enclosure’s NAP of the Day page provides their pick for that day’s racing. NAPs are important for tipsters in showing consistency with their victories, so it is unlikely that any NAP has ridiculously large odds, but the price usually accurately reflects their chances of winning. Punters may want to spread their betting differently however, and for that there is the Lucky 15. A Lucky 15 is made up of fifteen different bets in one selection, consisting of four singles and trebles, six doubles and a four-fold accumulator. The beauty of a Lucky 15 bet is that with all the bets running alongside each other, just because you lose one part of the selection does not necessarily mean you will not get any returns provided that another part of the Lucky 15 lands. As such, there is quite a lot of potential for a Lucky 15 to land some big returns for punters. Any punter at Ebor that is looking to win big might find some fortune in a Lucky 15 bet. 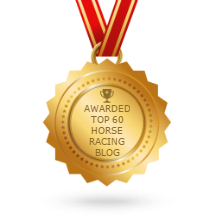 As previously mentioned, The Winners Enclosure is the best place to visit for Ebor Festival tips as the meeting draws closer. Odds can fluctuate in horse-racing, but as is usually the case with antepost betting, they can shorten closer to the race if big money is going on one horse – so if your plan is to have a flutter at Ebor, keep your eyes peeled over the coming weeks.